The day is finally here and the long wait is finally over. Machine Head’s new album Catharsis is finally here. The band’s ninth new album, it has faced a lot of scrutiny from audiences leading up to its release, with many comparing it to the band’s 1999 album The Burning Red and its follow-up, 2001’s Supercharger, and others even calling it worse than those efforts. Given, this may not be another master work from Machine Head — unlike The Blackening and Bloodstone & Diamonds — but it still deserves at least more of a chance than so many have given it. That is due in part to the very musical arrangements that have come under fire from audiences and critics alike. They will be discussed shortly. The album’s lyrical themes, which in many cases are not so dissimilar from those of the band’s past albums, will be discussed later, as they are just as important to discuss in examining this album. Last but definitely not least of note is the bonus concert recording included in the album’s deluxe expanded edition. It could be argued to be the album’s crown jewel. When it is set alongside (or in this case atop) the album’s musical arrangements and its relatively familiar lyrical themes, the end result is an album that while again not the band’s best work is still deserving of more respect than it has received. Catharsis is one of the most interesting and important albums that Machine Head has put out in the course of its now 20-year life span. Not since the days of The Burning Red and Supercharger has the veteran San Francisco, California-based heavy metal band come under so much scrutiny from audiences and critics alike, splitting them almost down the middle. Many have even compared this record to those albums, unjustifiably no less. That is due in part to the album’s musical arrangements. As has been noted by so many critics — both professional and independent — the album’s musical arrangements run the gamut over the course of the album’s 15-song, 74-minute run time. The album’s opener, ‘Volatile,’ which was also the album’s most recent single, boasts an arrangement that can easily be compared to that of ‘Game Over,’ which was included in the band’s most recent album, 2014’s Bloodstone & Diamonds. The album’s title track, which was one of its earliest singles, boasts an equally solid arrangement that harkens back to the band’s earliest days while also hinting a little at its more recent albums, too. ‘Beyond the Pale’ meanwhile takes listeners back to the chugging sound that the band crafted on Supercharger, again presenting yet another piece of the band’s body of work. One could even argue that there’s a hint of Pantera in this arrangement. ‘California Bleeding’ goes back to the days of The Burning Red with its up-tempo arrangement. To an end, it could even fit in Supercharger’s body as could that of ‘Triple Beam,’ the clearly anti-drug anthem, and ‘Kaleidoscope.’ The much softer socio-politically-charged ‘Bastards’ could easily fit into any of the band’s albums stylistically speaking, despite what people would like to believe of the song. ‘Hope Begets Hope’ meanwhile reaches all the way back to Burn My Eyes (one of the band’s masterpieces)with its arrangement while ‘Screaming at the Sun’ sounds like it could just as easily fit into the body of The More Things Change. Considering how soft and contemplative ‘Descend The Shades of Night’ (from From The Ashes of Empires) was, ‘Behind A Mask’ could just as easily be argued to be a work that would fit alongside that song with its semi-acoustic arrangement. is it as good as ‘Descend the Shades of Night’ in regards to its arrangement? No, but it is still an interesting work nonetheless. The album’s final handful of songs also reaches back to the band’s early days. All in all, what audiences get in this album’s collective arrangements is in reality a tapestry of the band’s body of work up until now. Given, much of that body is the band’s earlier work, but it is still an interesting picture that is painted. It makes the album worth at least one listen if no more. Staying on the note of the arrangements’ importance here, the album’s lyrical themes are just as important to discuss in examining this record as are its musical arrangements. The album’s lyrical themes are even more diverse than its musical arrangements. ‘Volatile’ is a statement addressing the events of last year’s events in Charlottesville, VA that resulted in one person’s death. ‘California Bleeding’ takes on the elitist cultures that exist in that state, even going so far as to use the band’s 2007 row with Disney over the company’s refusal to let the band perform at the House of Blues in Anaheim (since apparently it was property at the time owned by Disney) as part of its argument. ‘Triple Beam’ meanwhile is clearly a statement about the dangers of drug use and the illegal drug trade. ‘Hope Begets Hope’ changes things up with a strong message of…well…hope in dark times as is the album’s closer. There’s even a musing about the person that so many of us have just below the surface in ‘Behind A Mask’ as well as plenty of other themes throughout the record’s other songs. All in all, the themes that this record tackles in its lyrical content adds even more reason to listen at least once. Are the lyrics themselves that deep? Sadly, no. To that end, the critics are right. There is a lot of simplicity in the album’s lyrical content for lack of better wording, but despite this, it does at least leave little room for interpretation. In other words, that simplicity makes understanding the songs’ themes that much easier. The band can’t be faulted for that. As a matter of fact, when one compares the lyrics in this album’s songs to those of the band’s previous works, one could argue that those previous works are simple in their own right. Flynn screaming “I hope you burn in hell” to a journalist who wrote about Dimebag Darrell’s death in ‘Aesthetics of Hate’ is simple. That cannot be ignored. Nor can Flynn yelling “Let freedom ring with a shotgun blast’ in the band’s timeless classic ‘Davidian.’ Keeping that in mind, though the lyrics in this album are simple, they are not the first time the band has presented something simple, and that simplicity does prove important at least in part to this record’s presentation, believe it or not. When the songs’ lyrical themes and general content are joined with the album’s musical arrangements, the whole of those elements gives plenty of reason for audiences to give this record at least one chance. They are not its only important elements. The record’s deluxe edition boasts an expansive 21-song live recording from the band’s 2015 tour that anchors the whole thing. The bonus live recording that comes with Catharsis‘ deluxe edition gives more reason than anything else for Machine Head fans to give this record a chance. Originally recorded Feb. 21, 2015 at the Regency Center’s Grand Ballroom, the concert presents a set list that lifts from what was at the time every one of the band’s albums to date. The band’s more recent albums — Bloodstone & Diamonds, The Blackening, Unto The Locusts and Through The Ashes of Empires — are the most heavily represented of the band’s albums. Bloodstone & Diamonds and The Blackening each got four nods while the other two records each got three. Burn My Eyes, The More Things Change and The Burning Red were each represented with two songs while Supercharger got just one nod. That aside, the fact that the band pulled from every one of its albums up to that date gives the concert plenty of depth. The concert’s audio and video editing are deserving of their own credit as is the concert’s cinematography. That is especially the case considering that the fact that the Grand Ballroom was clearly not the largest venue. That seemingly relatively tight space had to have posed its own challenges in recording the concert, and those efforts paid off in the end. They paid off because they give home audiences the best seat in the house regardless of whether or not they were there at the concert’s taping. Keeping in mind the work put in by everyone behind the scenes to make this recording a reality, and of course the work put in by the band itself, this recording proves to be one that every Machine Head fan will appreciate. That being the case, it proves to be the anchor for the deluxe edition of Machine Head’s new album. If for no other reason than this recording, true Machine Head fans will give this record a chance. In doing so, hopefully those fans will also agree that the album’s musical arrangements and its lyrical themes make it worth at least one chance. Getting infants and toddlers to sleep, whether for a nap or for the night, is not always the easiest task. Anyone who has/had a child or even who works/worked with children will attest to this. From mobiles that play gentle music to playing to so many other means, parents and childcare workers alike have used so many methods to get little ones to sleep. Some work better than others and vice versa. 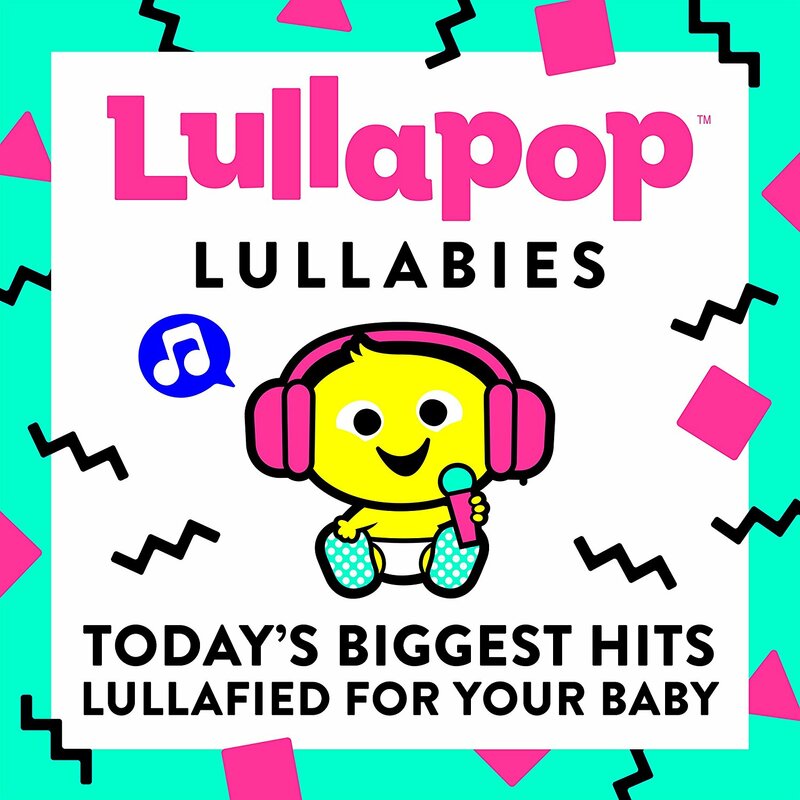 This past Friday, January 26, Razor & Tie Records released a new tool to get infants and even toddlers down for a nap in the form of the new compilation record Lullapop Lullabies. This 21-song collection pulls some of the biggest pop hits from the past couple of years and presents them in harp-centered arrangements that will not only ensure children’s sleep, but also a certain interest from older listeners. The songs and the arrangements thereof are two of this record’s most important elements and will be discussed over the course of this examination. The record’s sequencing rounds out its most important elements and will be discussed, too. Each element is important in its own way to the whole of this collection. All things considered, they make Lullapop Lullabies a record that new parents and childcare workers alike will appreciate. Razor & Tie Records’ new lullaby collection Lullapop Lullabies is one of the most intriguing new children’s offerings to come along so far in this still young year. It can be said in listening through the record that it is a presentation that new parents will appreciate just as much as childcare workers. That is due in part to the record’s chosen songs. The record opens with the gentle, harp-centered take of Luis Fonsi’s hit song ‘Despacito.’ The song’s steamy lyrics are voiced here by a gentle, flowing harp arrangement that will instantly put listeners of any age at ease while still staying true to the song’s source material. Ed Sheeran, who just won a Grammy on Sunday for his hit song ‘Shape of You’ comes next and is then followed by lots more harp-centered takes on Justin Timberlake’s hit ‘Can’t Stop The Feeling!,’ Bruno Mars’ ‘That’s What I Like’, Drake’s ‘Hotline Bling’ and so many others. Simply put, the songs that make up the body of this record are works that will be familiar to any number of grown-up listeners, giving plenty of interest to the record for said listeners. Being that the record’s younger listeners will have no clue as to the songs’ identities, their arrangements will appeal just as much to them as to older listeners. That being the case, it becomes clear why the songs featured in this record are so important to its overall presentation. The noted arrangements are just as important to discuss as the featured songs. It has already been noted that the arrangements featured in each of the record’s songs is built around a harp. From one song to the next, additional string arrangements are added at various points as are keyboard lines. The whole of those elements combine to make the record in whole sound like so many compilations released via Vitamin Records except better. The arrangements put the songs into a format that listeners maybe might have never heard, in turn making them potentially more appealing. At the same time, hearing harp-centered arrangement after harp-centered arrangement for nearly an hour can get tedious for older listeners, even despite the songs being so familiar. Of course younger listeners won’t mind since those continued arrangements are certain to keep little ones calm as long as they sleep, insuring plenty of pleasant dreams. To that end, the arrangements presented in the featured songs prove to be critical in their own way to this collection. They will insure younger listeners’ sleep soundly while in small doses, they are certain to entertain older listeners familiar with the songs. The arrangements are not the last of the album’s most important elements. The record’s sequencing rounds out its most important elements. From beginning to end, Lullapop Lullabies maintains a very constant gentile energy in each song. Given, some of the arrangements are minutely more upbeat than others. By and large though, the songs’ energies remain relatively stable throughout the course of the record’s run. This is important to note because it means parents and child care workers could easily put this record on at naptime or bedtime and just let it run without worry of the child being surprised (or parents either for that matter). That stable energy is certain to keep young minds calm even in r.e.m. sleep. This in turn insures a longer, richer sleep for little ones, again proving the importance of the album’s sequence. When the stability of the songs’ energies is set alongside the record’s familiar songs and their unique arrangements, the whole of those elements makes the record overall a presentation that is certain to earn its own place in homes with young children and in child care centers alike. “The worst movie of all time.” That is the wording that has often been used to describe Four Square Productions’ 1978 camp cult classic Attack of the Killer Tomatoes. Yes, the movie is bad, but the fact of the matter is that it is meant to be that bad. It’s too bad that so many people have missed that point over the years. Early this week, MVD Entertainment Group’s movie branch MVD Visual re-issued the so bad it’s great flick on a new DVD/Blu-ray combo pack with brand new bonuses, giving those who still hate the movie another chance to change their minds and see the light while also giving true fans (such as this critic), a brand new opportunity to finally add the movie to their home libraries. There is so much to like about this movie beginning with its story. This will be discussed shortly. While there is a lot to like about this brand new re-issue, there is one minor qualm that must addressed — the sound mixing between the movie’s main menu and the rest of the presentation. It’s minor, but cannot be ignored, and thus, will be discussed later. While the problems with the sound mixing cannot be ignored, they are luckily the movie’s only negative in its brand new re-issue. The bonus material included in this re-issue rounds out its most important elements. Each element is, in itself an important part of this reissue’s overall presentation. All things considered, this cult classic still proves once more why re-issues can be — and often are — just as important annually as the new theatrical releases that fill theaters. MVD Entertainment/Visual’s brand new re-issue of Four Square Productions’ 1978 camp cult classic (say that five times fast) Attack of the Killer Tomatoes is one of the best movie re-issues that will be released this year. That statement is supported easily in no small part through the movie’s story. The story, in a nutshell, follows the events of an attack by a bunch of…well…killer tomatoes on an unidentified town and the attempts by a rag-tag group of people to stop the fruity (remember, tomatoes are fruits, not vegetables) attack. The only explanation of how the tomatoes came to be was an opening scene showing an experimental garden. Audiences are left to assume that it’s a government establishment. Even as little as it is, it’s still funny, considering that they decided to change the tomatoes’ origin in the movie’s sequel. If that isn’t enough proof of how wonderfully silly this movie’s story is, then the random musical numbers, tickers at the bottom of various scenes with nonsensical phrasing and completely outrageous, over the top acting definitely show why this movie is just a fun, turn-off-your brain ride. Ironically enough, as random and outrageous as this story is, one can say to its benefit even more that the story actually manages somehow to stay on track through it all. It never allows itself to get so sidetracked with its zany material that it gets bogged down. Those behind the story’s creation are to be commended for that, especially as much as is thrown into the mix. Keeping all of this in mind, it should be clear why the movie’s story is so important to its presentation. It’s just a dumb, fun movie that is a laugh riot because it is so dumb. Hopefully those who missed that in the movie’s previous release (and those who have never seen the movie) will see it this time around now that the story is seeing the light of day again. While it is obviously important, it is only one of the reissue’s key elements. One cannot ignore the one glaring issue presented in the movie, its sound mixing. The sound mixing involved in the movie’s new home re-issue is problematic to say the very least, for the movie’s presentation. As soon as the movie’s main menu comes up, audiences are presented with a decidedly ear-piercing whistle that opens the movie’s main theme. The whole thing is so loud that it forces audiences to push down the volume on their televisions. From there, audiences are then forced to turn the volume back up once the movie starts in order to be able to hear. the same discrepancy happens when going back and forth between the main menu and the bonus material included in the new re-issue. The bonus material is presented at a very low volume while that main menu music was obviously recorded at a very high level. The only option that this critic has found to work is to keep the movie and bonus material at one level and then mute the TV while choosing either so as to not have to endure that overpowering sound of the music on the main menu. It should be noted that this critic has nothing against the movie’s theme. The problem here is the seeming lack of attention that was paid to the audio balance between the movie, menu music and bonus content. 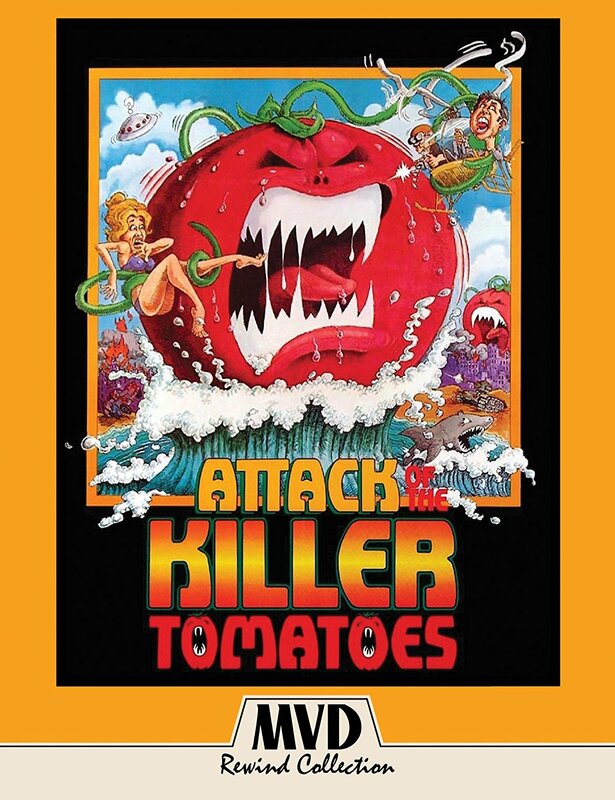 If more attention had been paid to balancing each piece’s audio, this new presentation of Attack of the Killer Tomatoes would be perfect. If the movie should ever get another re-issue, hopefully this will serve as a reminder to those re-issuing it next. Now, having discussed this one issue, it should be noted that it is the movie’s only negative. The bonus material is its other positive. The bonus material included in the movie’s re-issue adds so much to its overall presentation. Audiences are treated to the original 8 mm take of the movie that would serve as the basis for the big screen feature that has gone on to become a cult favorite. They are also treated to the very first movie made by those behind this movie, called Gone With The Babusuland, which is supposed to be a spy movie, and is almost as outrageous as the original take of Attack of the Killer Tomatoes. There’s even mention in the included commentary that it could be seen in watching this “movie” how the latter movie could be made. That speaks volumes about each movie’s entertainment value. The audio commentary included in the main feature adds its own depth to the movie’s presentation, too. Right off the top, audiences learn through the commentary that the tomatoes splat so well on the opening credits because they were boiled ahead of time. There’s even note of the meeting scene with the military officials being stolen from a Marx Brothers film. If that doesn’t add some appreciation to this movie, nothing will. Viewers also learn as Mason Dixon is first introduced that the cast did its own stunts and that for some of the shoots, the crew didn’t even get permits, but shot guerilla style. That was brave, and clearly paid off. This is all within the movie’s first 20 minutes or so. The insight and entertainment continue nonstop throughout the movie. As if all of the entertainment and insight offered through the already noted bonuses wasn’t enough, audiences are also treated in the bonus es to a faux doc following where the movie’s cast went after the movie was made including a hilarious short pseudo-conspiracy piece, a sing-a-long feature, in which audiences discover from Director John DeBello that it even gained fame on Dr. Demento’s radio show. Between this and all of the other bonus material included in the movie’s re-issue audiences get so much extra enjoyment, and the movie gets so much more depth to its presentation. It really is the finishing touch to the movie’s presentation in this case. When it is joined with the simply outrageous story at the center of the movie, the whole of those elements makes this presentation more than worth the watch and easily one of the year’s best DVD/BD re-issues. That is the case even despite the issue of the sound editing and mixing here. Machine Head is stirring up the masses again with yet another single from the band’s upcoming album Catharsis and its lyric video. The band unveiled today the album’s opener, ‘Volatile,’ which was written as a tribute to Heather Heyer, who was killed by a racist neo-nazi in last year’s Charlottesville, Virginia protests. It is just one of the socio-politically charged songs included in the album. The equally controversial ‘Bastards,’ which was also just recently released, is also included in the band’s new album. Also already released ahead of Friday’s release of Catharsis are the singles and videos for: ‘Kaleidoscope,’ ‘Bastards,’ ‘Beyond The Pale,’ and the album’s title track.’ As an added bonus, the band has already released full live clips of ‘Ten Ton Hammer‘ and ‘Now We Die,’ which are included in the full bonus live concert recording included in the album’s deluxe extended edition. The full track listing both the album’s standard and expanded edition is noted below. ESPN will have some new, but well-known new faces this spring when its Sunday Night Baseball broadcasts return. The worldwide leader in sports announced this week that Yankee great Alex Rodriguez and Matt Vasgersian will join the program’s broadcast team. Jessica Mendoza will return, too. Vasgersian will be the program’s new play-by-play announcer, taking the place of Dan Shulman while Rodriguez will serve as analyst, taking over from Aaron Boone. ESPN announced last summer that Shulman would be leaving the program after last season. While he stepped away from ESPN’s flagship MLB program, he is still working with ESPN covering Major League Baseball on its ESPN Radio broadcasts. He is also busy covering college basketball for ESPN. Boone meanwhile will go from the broadcast booth to the dugout after being named the Yankees new manager during the off-season. Both Rodriguez and Vasgersian said in interviews that they were looking forward to joining ESPN’s MLB broadcast team. Mendoza said she was looking forward to working with her new broadcast partners. Stephanie Druley, ESPN Senior Vice President of events and studio production said the new broadcast team was the right fit for ESPN because of its collective experience. ESPN’s current Sunday Night Baseball presented by Taco Bell schedule is noted below. Apr. 29 New York Yankees at Los Angeles Angels** – Olney’s Pick! *Telecast to air on ESPN2. Additional Sunday Night Baseball selections for June through September will be made up to two weeks prior to the dates. This year marks the 29th year of Sunday Night Baseball on ESPN. Each game will be preceded at 7 p.m. on ESPN by Baseball Tonight: Sunday Night Countdown presented by Chevrolet. More information on ESPN’s Sunday Night Baseball presented by Taco Bell schedule is available online now along with all of the latest MLB headlines at http://www.espn.com/mlb. The stage is officially set for this year’s Super Bowl, but before the big game, there will be one more game for NFL fans — the NFL’s annual Pro Bowl, and ESPN will carry full coverage of the annual NFL superstar showcase game. This year’s NFL Pro Bowl will be played this Sunday, January 28 live from Camping World Stadium in Orlando, Florida. 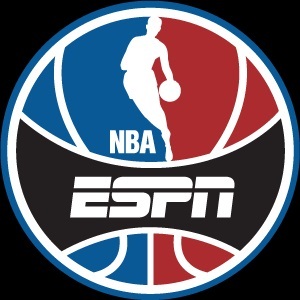 ESPN’s coverage of the game is scheduled to start at 2:50 p.m. ET, with coverage being simulcast on television on ABC and ESPN Deportes. It will also stream online via the ESPN app. ESPN Deportes’ coverage is scheduled to start at 1 p.m. ET with a special edition of SportsCenter. Eduardo Varela and analyst Pablo Viruega will have the call for the network. ESPN and ABC’s pre-game coverage is also scheduled to start at 1 p.m. with a special Postseason NFL Countdown pregame show. The program will air live from Camping World Stadium. Analysts Randy Moss and Charles Woodson will join host Suzy Kolber for additional commentary alongside ESPN NFL Insider Adam Schefter and reporter Michele Steele. ESPN Monday Night Football voice Sean McDonough will anchor the ESPN/ABC broadcast of the NFL Pro Bowl. He will be joined in the booth by analyst Matt Hasselbeck for a special one-time appearance. Field analyst Louis Riddick and reporter Lisa Salters will also be on hand for additional commentary. Among the stars expected to play in Sunday’s game are Drew Brees (New Orleans Saints), Todd Gurley (Los Angeles Rams), Derek Carr (Oakland Raiders), Jarvis Landry (Miami Dolphins) and others. Before Brees and the rest of the NFL’s elite take to the field for the Pro Bowl, they will take part tonight, in the Pro Bowl Skills Showdown. Coverage is scheduled to start at 9 p.m. ET. McDonough and the rest of the MNF team will call the competition, which will be held at the ESPN Wide World of Sports Complex. The competition sees the stars competing in events such as the Drone Drop, Precision passing drill (for quarterbacks), Gridiron Gauntlet (relay race) and Pro Bowl Dodgeball (exactly what it sounds like) as well as other events. Those who miss tonight’s broadcast will get more chances to see it as it will re-air on ESPN, ABC and even Disney XD. the current schedule of events leading up to the ESPN networks’ Pro Bowl broadcast is noted below.